Mention the name Billy Two Rivers to someone, and there’s a good chance they’ll know him for any number of reasons. Especially old school wrestling fans, who will remember his 24 years in the ring, where according to Two Rivers, he never played a villain. “No, I didn’t have a choice, they loved me,” the 83 year old said with a laugh. Ever the showman, he agreed to meet with APTN even though he’s currently rehabbing a back injury in the hospital. 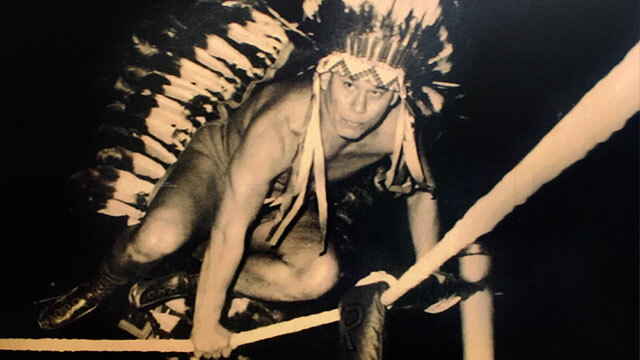 Two Rivers made his debut in 1953 after being trained by fellow Mohawk wrestler Don Eagle. Eagle saw Two Rivers playing lacrosse in his home of Kahnawà:ke, and recruited him. They trained in Columbus, Ohio until Two Rivers made his debut in Detroit in 1953 at the age of 17. When asked to describe his first match, Two Rivers guffawed. Two Rivers always entered the ring by vaulting over the top ropes. Aside from being flashy, it was also a way to avoid getting his famous headdress stuck between the ropes on entry. But nerves got the best of him during his first match ever in Detroit. It didn’t help that there was a group of Mohawk ironworkers on the crowd to help him remember. Still, despite a rocky start, Two Rivers combined a fierce wrestling style with colourful regalia to travel the world. The United Kingdom, Japan, the United States all came out to cheer him on. Right before a match in Hanover, Germany a spectator criticized Two Rivers for wearing an inauthentic pan Indigenous outfit. But being an ambassador wasn’t enough to make him feel safe when it came to wrestling in places like Belfast during the late 60’s, when the violence known at as “the Troubles” was among its worst in Northern Ireland. “They had four gates to get into the city,” recalled Two Rivers. “At night the soldiers would come out, their faces darkened, they would stand in a corner so as not to be seen, waiting for the rebels or something. And the greatest concern was that they were going to put a bomb underneath the ring or something,” said Two Rivers. That wouldn’t be the last time in his life Two Rivers would end up in a militarized zone. 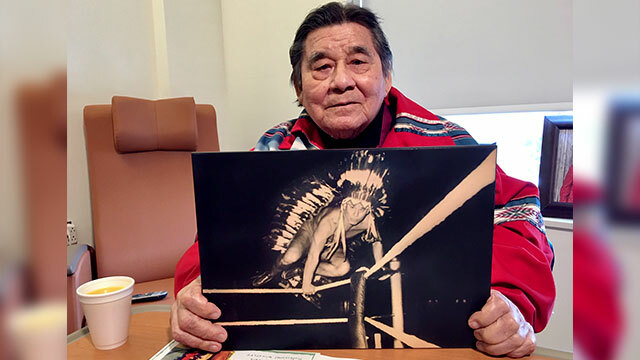 After ending his wrestling career in the mid 70’s at the request of his daughter, Two Rivers became a council Chief for the Mohawk Council of Kahnawà:ke. 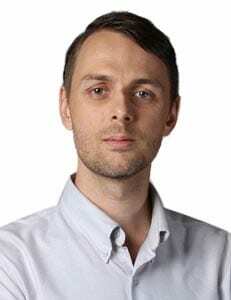 He was among the leadership group charged with brokering peace after Kahnaw:àke barricaded the Mercier bridge in support Kanehsatake during what’s known as the Oka crisis. Despite having travelled the world over, the summer of 1990 was witness to the worst act of racism he ever saw… and it was right next door to his own community in Montreal. In what’s become known as the “Rocks at Whiskey Trench” incident, a convoy of Mohawk women, children, and elders leaving Kahnawà:ke were stoned in their cars by Quebecers on August 28, 1990. Two Rivers says the incident was premeditated. “There was fellows going to the different businesses there and saying ‘come on out, and let’s stop these Indians.’ These people, they didn’t care,” said Two Rivers. Still, Two Rivers takes pride in helping to broker peace on the Kahnawà:ke side near the end of the 78 day stand-off. Then, in 1998, after 20 years on council, Two Rivers retired. Well, retired might be a misnomer. Since then he’s done acting in films and TV shows like Mohawk Girls, had a photo of himself used on the cover of a Van Morrison album – without his permission – (that led to an out of court settlement) and served as an elder for the Assembly of First Nations. But most of all, Two Rivers is proud of his nine grandchildren. Many of whom speak Kanienʼkehá꞉ka, the Mohawk language, with him. Judging from pictures of his family pinned to a bulletin board, it also appears they have also inherited his athleticism. “There’s my granddaughter, she won her [Olympic] wrestling championship,” Two Rivers says of a photo of her pinning another wrestler with a headlock. To say that Two Rivers has lived a rich life is to state the obvious. “I don’t know how much longer I’ll be in this world over here, I’m trying to pass everything I know on to the next generations,” he concludes. But to assume that Two Rivers doesn’t have at least few more chapters left would likely be a mistake. And while he doesn’t mind being remembered for his wrestling, his body of work suggests he should be better known as something else: Billy Two Rivers, renaissance man.